・Couradeau,E.et al., An Early-Branching Microbialite Cyanobacterium Forms Intracellular Carbonates. Science, (2012). ・Ponce-Toledo, R. I.et al., An early-branching freshwater cyanobacterium at the origin of plastids.Curr. Biol. 27, 386-391 (2017). ・Vries, J. 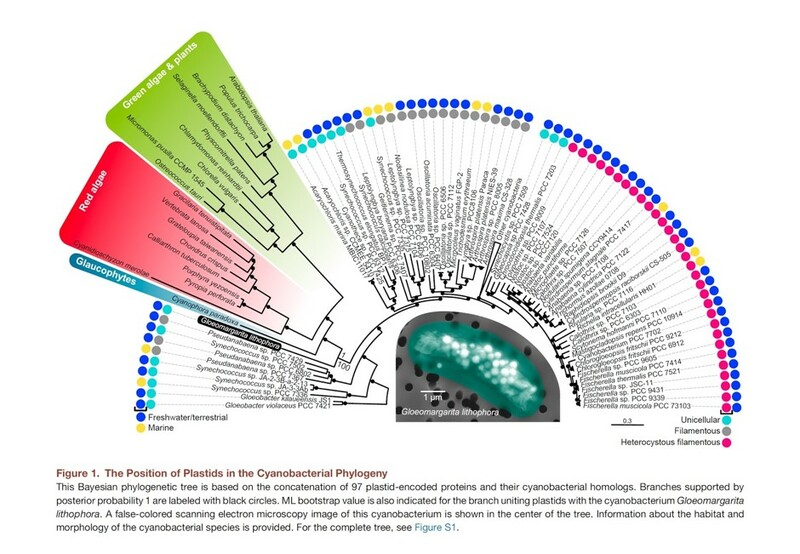 & Archibald, J. M., Endosymbiosis: Did plastids evolve from a freshwater cyanobacterium? Curr. Biol. 27, R103-R105 (2017). ・Sánchez-Baracaldo,P. et al., Early photosynthetic eukaryotes inhabited low salinity habitats’ , PNAS (2017).